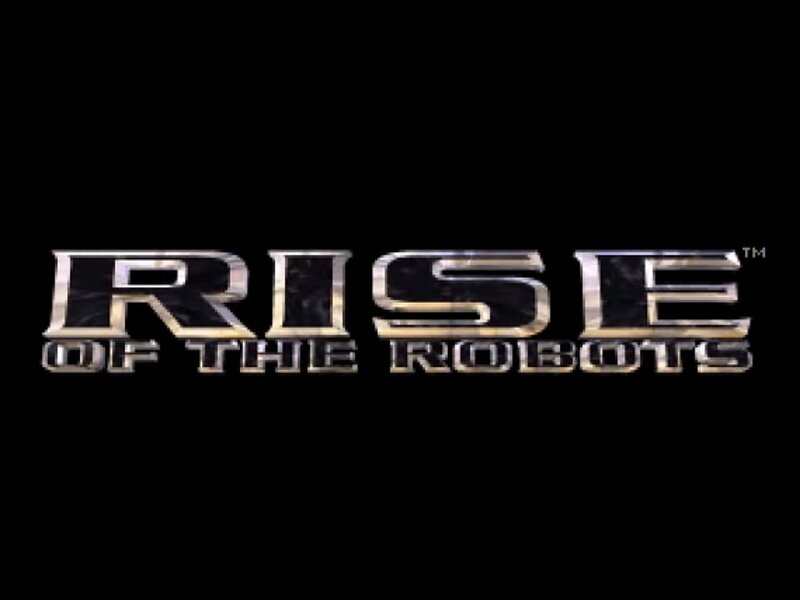 Indie Retro News: Rise of the Robots (Time Warner Interactive game, Commodore Amiga 1994) reviewed by AlanG! 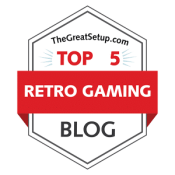 Rise of the Robots (Time Warner Interactive game, Commodore Amiga 1994) reviewed by AlanG! It is a quiet Sunday morning in the Honeywell Custody Centre. Sergeant Undergusset was sat with his feet up on the desk, enjoying a cup of coffee while at the same time struggling with a Sudoku. Abruptly the peace was shattered as Detective Constable Parsnip entered, handcuffed to another in his detention, who was completely and utterly failing to ‘come quietly’. “What have you got for me today Parsnip?” asked Undergusset. “Fraud Sarge” answered the DC, clearly out of breath. “Rise of the Robots sir”. “It’s a strange case sir”. “Oh it sounded great that’s for sure. It was hugely anticipated. 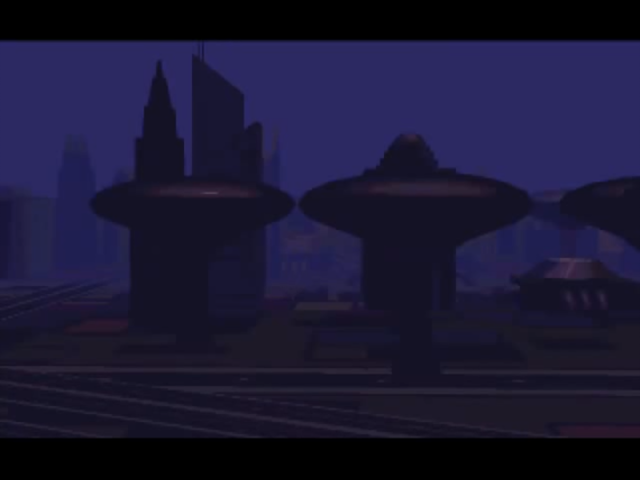 It had amazing graphics, a slick introduction and they got Brian May involved on the music side. The still shots that were circulated pre-release looked amazing. Unfortunately it didn’t deliver. 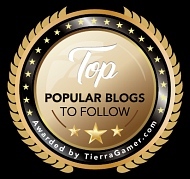 It fact this is one of the most shockingly bad games released in the history of anything ever”. Undergusset took a swig of his now cold coffee, considering the facts of the case. He winced slightly. “I’m still going to need more Parsnip” he said after a period of deep thought. “As said, I need evidence. So far I can’t see this standing up in court”. “Okay sir” said the DC taking a deep breath, “How about this for starters? 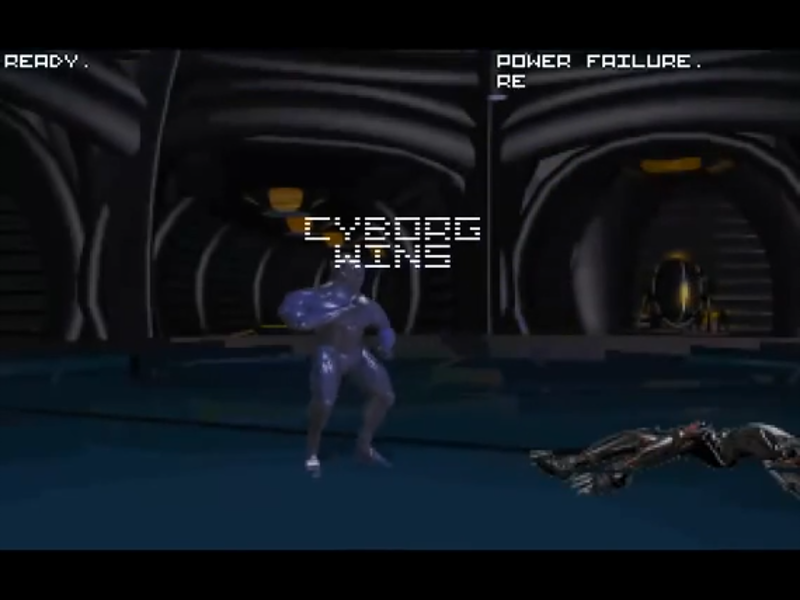 Despite a limited range of robot opponents you can only play as ‘ECO35-2’, a blue cyborg thing. 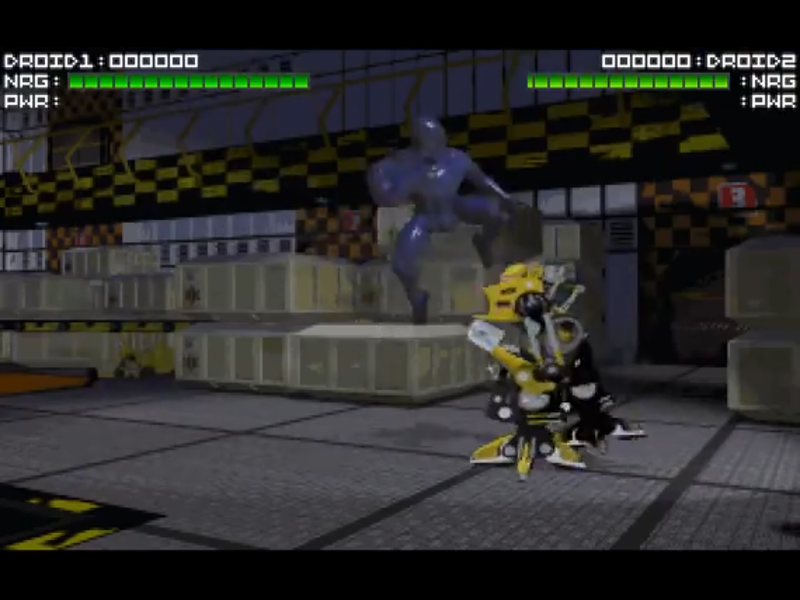 You battle against a series of robots which have, in some cases and for no apparent reason, double the reach you have. The robots have huge energy bars so it is virtually impossible to knock one out in the time allowed, whereas if they hit you, you can lose a quarter of your energy in one go. The movement is jerky in the extreme and, while they look nice in still shots, the animation is embarrassingly poor coupled with a truly shocking frame rate. 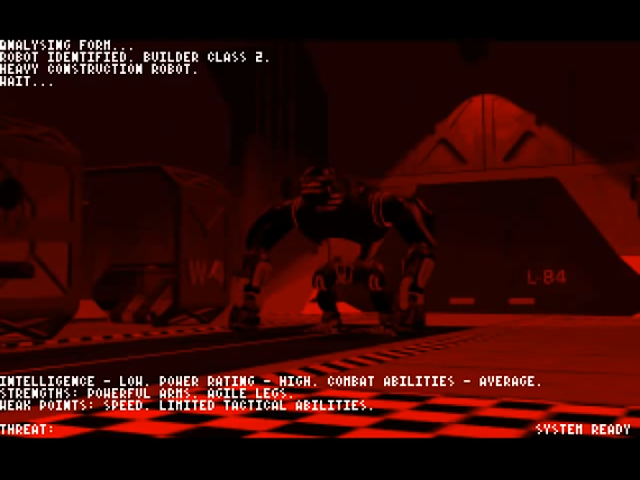 The robots appear to be hovering over the ground rather than standing on it. The backgrounds are samey and dreary”. “Despite Brian May recording an entire soundtrack they didn’t use most of it and the in-game music sounds like it has been lifted from a bad 1980s techno album. There are only five robots to fight against and a final boss. It is impossible to turn and face left. It is harder on the ‘easy’ mode than it is on the ‘hard’ mode. 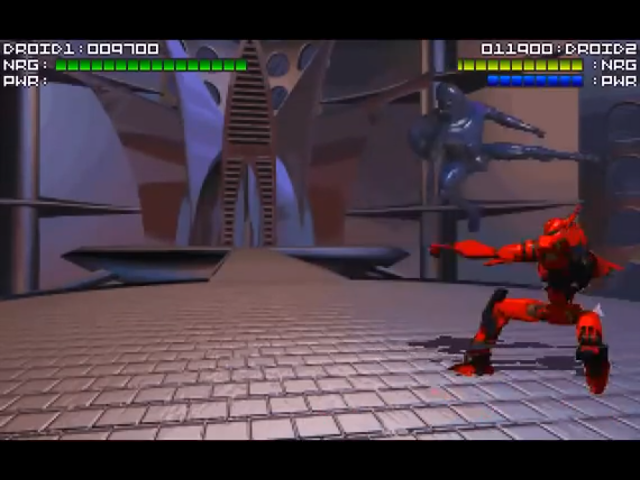 The developers claimed that the opponents had the most advanced artificial intelligence of any game at the time and each had detailed strengths and weaknesses listed, but despite this they all behave in exactly the same manner, AND YOU CAN BEAT EVERY ONE OF THEM ON THE HARDEST DIFFICULTY LEVEL SIMPLY BY JUMP-KICKING THEM REPEATEDLY”. Sergeant Undergusset was stood, frozen, the coffee cup halfway down from his mouth. His mouth was open but he didn’t seem to know what to say. “Oh, and you can play the game from start to finish inside twenty minutes” said Parsnip, somewhat triumphantly. “Fraud you say?” Undergusset asked. ​"Amiga Action gave it 92%." "Bring them in for Conspiracy and lock him up.” said Undergusset looking both shocked and disgusted at ROTR. “And keep him there”. He had a thought. “And in the morning, piss on his cornflakes”. ROTR was led down the corridor, head down, and placed in a holding cell. Suddenly everything started going wibbly-wobbly, like a dream sequence beginning or ending in a film. DC Parsnip and Sergeant Undergusset slowly faded into nothingness, Sudoku and all.